There are so many Android tablets out there priced similarly and from so many manufacturers that it gets difficult to choose between them. Most of the tablets come with Wi-Fi support and there’s also quite a lot of tablets that support internet and VoIP through an internet dongle, be it a service provider specific one or a universal 3G data card dongle. But there’s a very small number of tablets that include a SIM card slot and allow for voice calling and data transfer through mobile networks. Luckily though, these tablets are pretty affordable as well, and you can grab one for Rs. 20,000 or less. Here’s our round up of the best tablets with calling function! Next up is the iBerry AUXUS AX03G, with that totally non Apple inspired name (*cough* lawsuit *cough*). Anyway, for a pretty similar price and specs to the Swipe Tablet, the iBerry AUXUS AX03G offers a dual Mali-400 GPU which is good news for the media junkies and gamers out there. It also features a larger battery so you can expect better battery life. The build and overall responsiveness is not too shabby either. Of course, it’s got an inbuilt SIM slot for voice calling and 3G dongle support as well, which the Swipe Tab lacks. Even with all this it’s quite light at 340 g.
Now we’re treading into the better quality tablet territory. 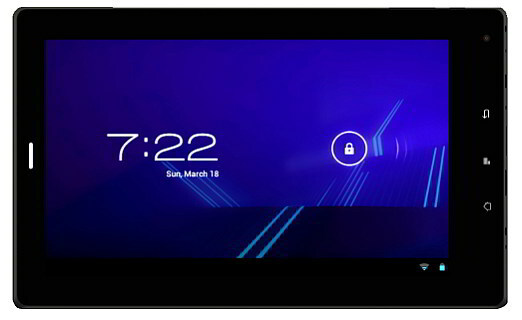 The ME Tablet Y2 is a pretty good offering from HCL that combines a great display, robust body and offers good connectivity as well (miniUSB, miniHDMI). Even though it uses a newer processor, you will find a bit of lag and stutter here and there and there’s quite a delay between you pressing the power button and the tablet screen waking up. The good news is, it packs in a higher resolution display and can play 1080P videos with no problems. 3G dongle support is included too. HCL has gone and included the HCL App Store instead of Google Play which might be a letdown though. All in all, the HCL ME Tablet Y2 is a well built media device with above average tablet capabilities that lets you voice call as well. 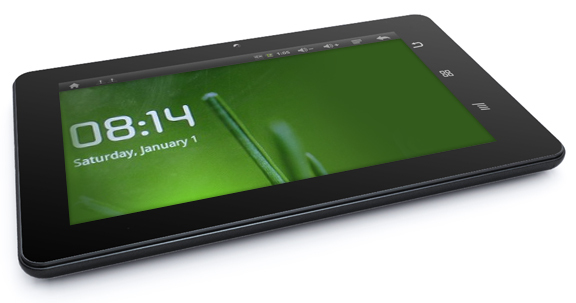 The MediaPad 7 Lite is an upcoming tablet from the largest telecommunications equipment manufacturer in the world, Huawei. It’s on the premium side of things and will compete with the Samsung Galaxy Tab 2 310 and Google Nexus 7. Featuring a metal unibody, a high resolution screen, a SIM card slot with voice calling and 3G dongle support, it comes loaded with pretty much everything you need. 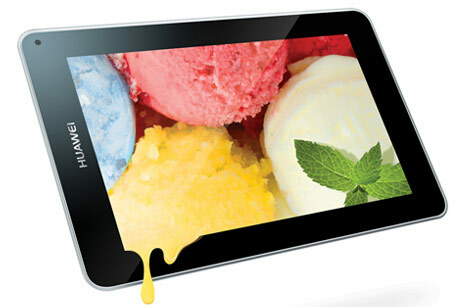 Also, even though it will ship with Android 4.0 Ice Cream Sandwich, Huawei has promised an update to Android 4.1 Jelly Bean very soon. Pricing will also be on par with it’s above mentioned competitors, but then again it’s a premium product. Most dongles used now are Huawei too, so we’re hoping it will support pretty much every dongle on the market. Update: The Huawei MediaPad 7 Lite costs Rs. 13,700! 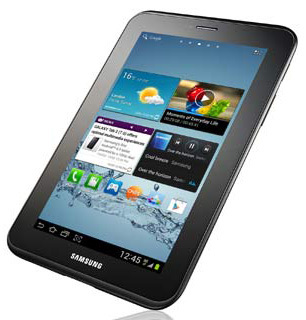 Finally we have the ever popular Samsung Galaxy Tab 2 310. It’s the most powerful of the lot, has a great finish and support HSDPA+ transfer speeds (21 Mbps). Everything you’d expect is built in, the Google Play Store, Samsung’s own TouchWiz UI and the voice quality is really good too. It’s also the sleekest at just 10.7mm thin and weighs just 344 g. Battery life is claimed to be around 6-7 hours, which is actually pretty good. The only catch is there’s no MicroUSB port and all connections are done via a proprietary 30 pin connector at the bottom. Samsung is known to make good products and the Galaxy Tab 2 310 is pretty much the best amongst tablets with calling function. It’s just a shade under Rs. 20,000 but if you’re lucky you can get it for a lower price, so keep scouting! So those were our top 5 tablets with calling function. Do let us know if you have any suggestions and leave us a comment below! Sony Xperia Tab Set to Launch? where shall I buy swipe tablets plz inform abt tht ………………..,……… . You can buy them online or ask your local computer retailers. 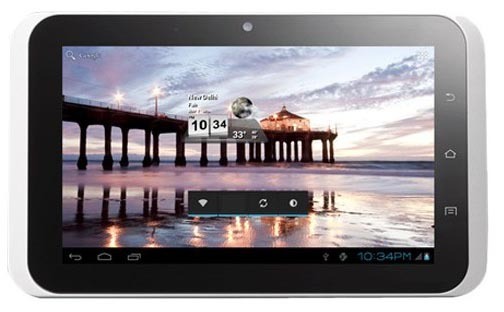 The market is flooded with so many homogenous Android tablets that at times, it is hard to distinguish the good from the bad. Sure, you have the tried and tested brands like Acer, Samsung, Sony and more bringing some great products to the table, but they haven’t necessarily tapped all the price points at which the masses are looking to pick one up. With the growth in demand for budget tablets tablets we have seen companies like HCL, Mercury, iBerry, Zync, iBall, Karbonn and more enter the market with products that offer a basic Android experience to users at an entry level price.